If you’ve ever suffered from the unbearable burning pain of heartburn, you’re not alone. In fact, an estimated 40 percent of all Americans suffer from heartburn at least once a month and almost everyone will experience at some point during their lives (1). And not everyone feels heartburn exactly the same way. The culprit behind heartburn is acid reflux (or GERD as it’s sometimes referred to), which occurs when stomach acid comes back up into the esophagus, triggering a burning sensation in the chest. Normally, your lower esophageal sphincter stops food from reentering the esophagus. But if the sphincter is relaxed or weakened, heartburn can occur and bring with it a whole host of unpleasant symptoms (2). Heartburn is also a common symptom of gastroesophageal reflux disease, or GERD, which is a backup of bile or stomach acid up into the esophagus. 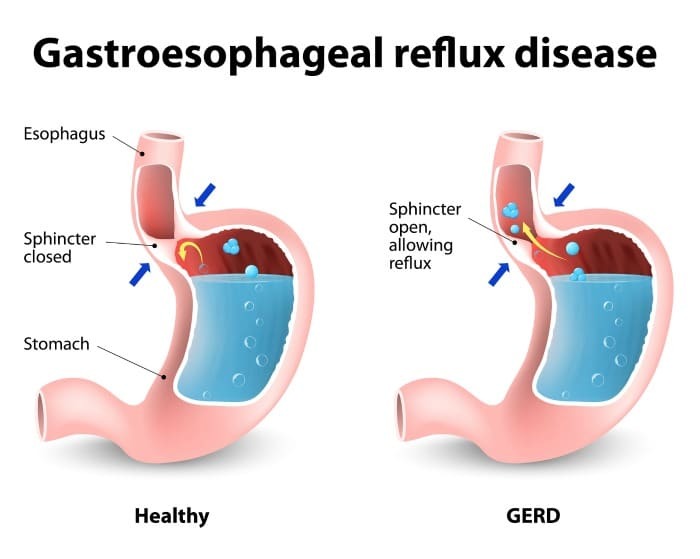 A whopping 60 percent of the population experiences GERD symptoms every year while 20 percent to 30 percent suffer from its symptoms weekly (3). But how do you get rid of heartburn? Luckily, there are plenty of natural cures for heartburn that can get you feeling better ASAP. Check out these simple steps you can take to ease your heartburn symptoms. Unfortunately for coffee lovers, that morning cup of joe could be the culprit behind your heartburn. Too much caffeine can cause your lower esophageal sphincter to relax, which creates the perfect window of opportunity for stomach acid to splash back up into the esophagus and cause those negative heartburn symptoms. Although I don’t recommend caffeine intake in general, if you need to get your coffee fix, it’s best to opt for a darker roast or a brew that’s lower in acidity. Decaf coffee is also a good alternative because the amount of acid is reduced during processing. Or, try mixing up your morning by trading your cup of coffee for some herbal tea. Free of caffeine, tea generally has a calming effect on the stomach and is much less irritating than coffee. If tea doesn’t strike your fancy, why not wake up with a refreshing green smoothie – like this one, or one of these smoothie bowls? Green smoothies can give your fiber intake a big bump, which will help keep your digestive system moving and prevent the recurrence of acid reflux and heartburn. 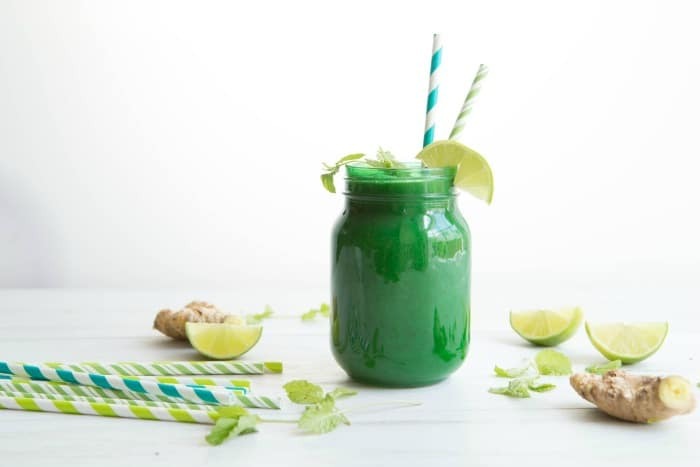 Green smoothies also help alkalize your blood, helping your red blood cells to easily transport oxygen throughout the body and allowing your cells to produce more energy. This means you won’t even need to get your caffeine fix to feel energized. It’s a vicious cycle: heartburn can keep you up late at night and lack of sleep can make your symptoms even worse. To really treat heartburn at the root, it’s important to stop this cycle in its tracks. First of all, if you’re suffering from nighttime heartburn, avoid bedtime snacks and try to keep your evening meal to at least two or three hours before bed. This helps give your body time to digest so that you don’t have to deal with pesky heartburn symptoms at night. 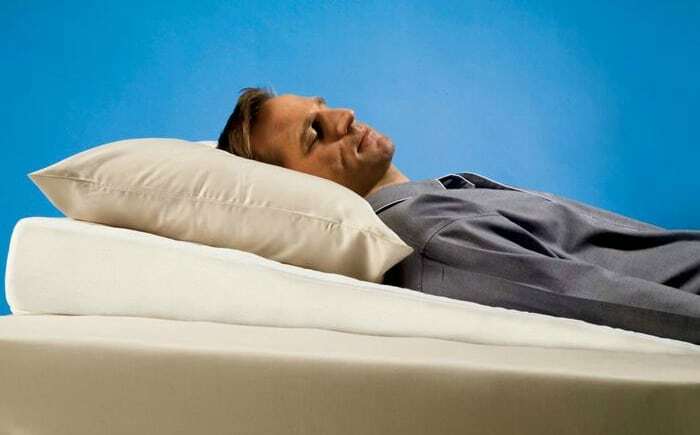 You can also try raising the head of your bed up to sleep with your head and chest elevated. Try using a special pillow designed to let you sleep at an incline or lifting the top part of your bed up a few inches with blocks. This can prevent the backup of stomach acid and ease digestion. 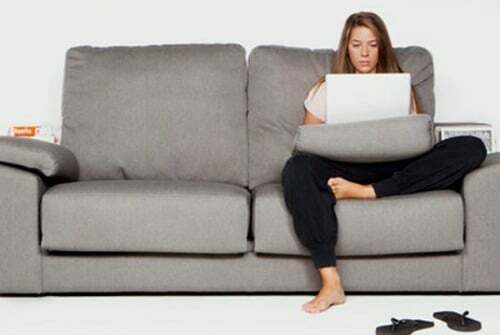 Finally, adjusting your sleeping position can help too. Studies have shown that sleeping on your left side can help with digestion while sleeping on your right side has been shown to actually aggravate heartburn symptoms (4). 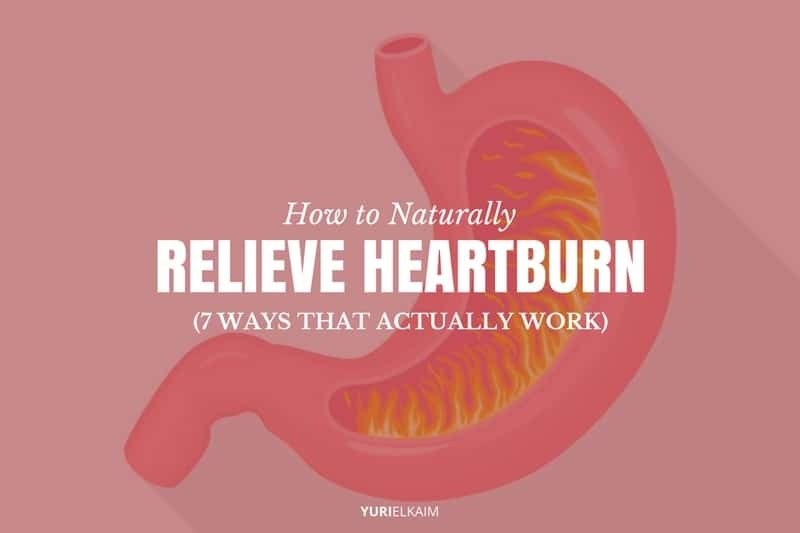 One of the easiest ways to stop heartburn in its tracks is to help stimulate the digestion process, effectively putting an end to heartburn symptoms. Though many believe that having too much stomach acid causes heartburn, inadequate stomach acid is actually a major cause of heartburn. This prevents the proper digestion of food, which increases the likelihood of heartburn occurring. 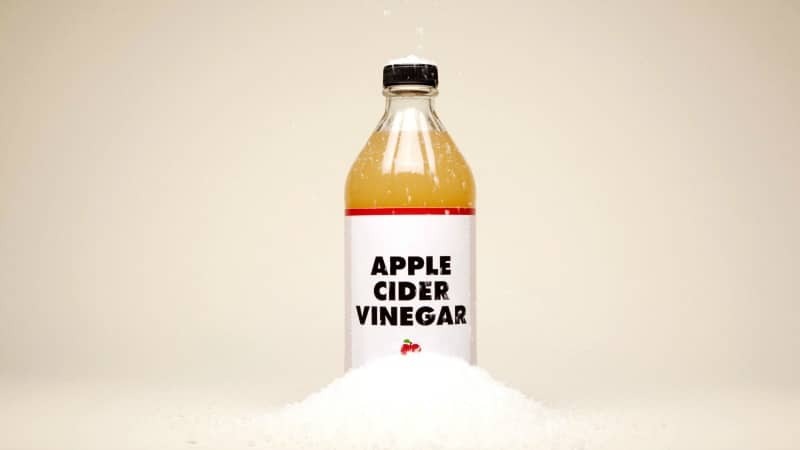 Apple cider vinegar has a similar pH to stomach acid and can help promote the digestion process by mimicking stomach acid. Apple cider can also help treat symptoms of heartburn, including gas and bloating. Many doctors recommend chewing gum to alleviate heartburn quickly. This effective method works through a few different mechanisms. 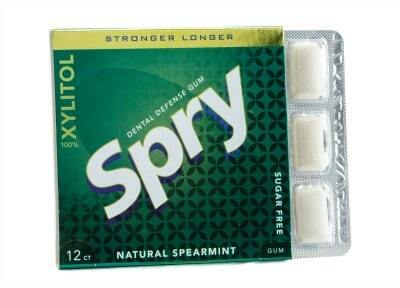 First, chewing gum can increase saliva production, which can dilute and wash away any acid built up in the esophagus. Chewing gum can also make your saliva more alkaline by causing you to swallow more and flushing out acidity, effectively neutralizing stomach acid and treating the symptoms of heartburn. It can also help soothe the esophagus and reduce inflammation (5). Studies show that this method is most effective when gum is chewed for an hour after eating, which can reduce symptoms of esophageal reflux and alleviate heartburn (6). Flavor can play a role, too; some believe that minty gums like peppermint gum may actually aggravate the symptoms of heartburn instead of helping while gum that contains bicarbonate can amplify the neutralizing effects. It might take some trial and error to determine what works best for you. If you have persistent heartburn, it might be time to turn to your diet and make some changes. There are several foods that are thought to cause acid reflux and trigger heartburn symptoms. If you’re prone to heartburn, limiting these foods in your diet is a good idea. Following an alkaline diet can also help rebalance your pH and prevent heartburn symptoms while also maximizing energy levels and helping you feel great. A good start for how to relieve heartburn is to fill your plate with fruits and veggies while lowering your intake of meat, grains, and dairy. 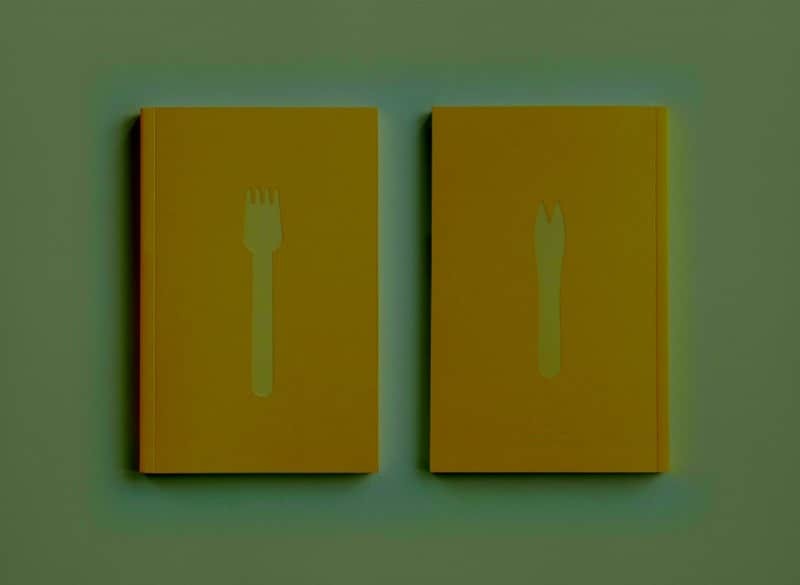 I also recommend keeping a food journal to help you identify triggers. Record what you eat and note if you experience heartburn after eating. Analyze your food diary and try to establish a pattern to see if certain foods can be attributed to your heartburn symptoms. Remember that some foods are more irritating than others for certain people, so it’s all a matter of finding what sets off your symptoms. Besides what you’re eating, how you’re actually eating can be a major factor when it comes to acid reflux and heartburn. Overeating is a major contributor to heartburn, and if you find that you experience heartburn right after chowing down on a big meal, it may be to blame for your symptoms. Try sliding back on your portion sizes and seeing how you feel; it can make a world of difference in relieving heartburn. Alternatively, try eating five to six small meals a day instead of three big ones and see if that helps too. Often, all it takes is a change in position to help prevent and treat heartburn. Lying down directly after eating is one of the worst things you can do if you suffer from heartburn. Being in this position with a full stomach causes food to push up against the lower esophageal sphincter and can significantly up your chances of experiencing acid reflux. Instead, try to remain sitting upright for two to three hours after eating. This allows gravity to do the work by keeping stomach acid in your stomach, effectively blocking the chances of experiencing heartburn. If you do feel the need to lie down or relax directly after eating, try using a recliner or laying down at an incline rather than laying down flat. 7. Are Your Clothes too Tight? If you suffer from heartburn, it might be a good idea to take a look at your wardrobe. Yes, surprisingly even your choice of clothing can lead to that prolonged burning sensation in your chest. When your clothing is too tight, it can press on the organs underneath and exert extra pressure. This pressure can propel stomach acid up towards the esophagus, leading to heartburn and acid reflux. This also accounts for why overweight and obese individuals are more likely to suffer from heartburn; excess body fat can push on the stomach and cause stomach acid to rise up into the esophagus. Even pregnant women frequently suffer from heartburn due to the increased pressure on the stomach. Shedding a few pounds can help relieve some pressure and eliminate heartburn if you’re overweight or obese. Alternatively, picking a roomier pair of pants or loosening your belt buckle a notch or two is also likely to help the problem. Next time heartburn starts to rear its ugly head, try out a few of these natural remedies. And now that you know how to relieve heartburn in the short-term, it’s a good idea to start making some healthy lifestyle changes to keep it away for good. Ditch the cigarettes, drop a few pounds if you’re overweight, eat more fruits and veggies to increase your fiber intake and get your digestive system moving, and practice some stress-busting exercises to kick heartburn to the curb. Many times, it only takes a few simple time-tested ingredients to help your body heal. Get my own top 10 safest and most effective home remedies in the Natural Remedies Handbook. These natural remedies work on colds, flu, ear, eye, and skin problems and more. This handbook is a $19 value, but you can download it right now – for free – by clicking the image below!